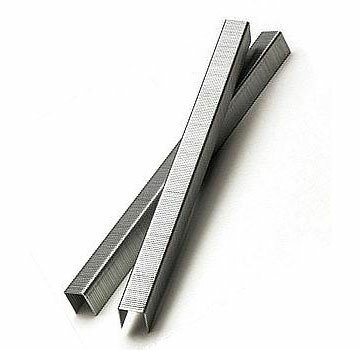 PRODUCT: A-11 x 3/8 Leg Tacker Staples (T-50). Collated High-Quality Exterior Grade, Galvanized Steel with a Chisel Point. 5000/Box.CASE OF 20 BOXES OF 5000. 100,000 TOTAL. PRICE/CASE. (60 cases / pallet). and most other A-11 Series Staplers.